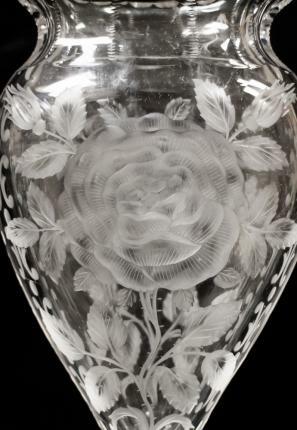 This ovoid vase was made by Hoare in an engraved Wild Rose design. 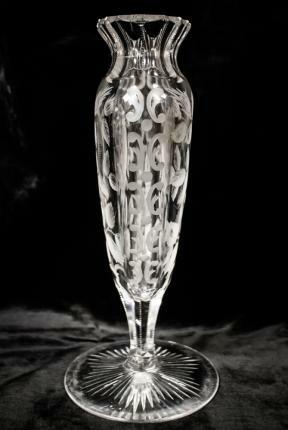 It is signed very faintly on the base. The quality of engraving on this vase is top notch with tons of detail – so many layers of rose petals are shown with great effort. It always amazing me on a piece like this the layer of depth and polish used to accomplish shading. Examine the leaves and petals closely. 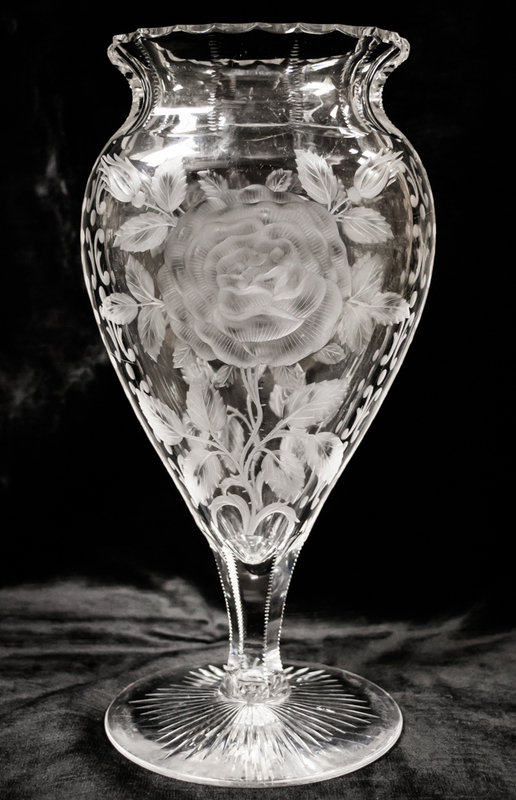 The form of the oval vase provides a perfect canvas for the talented engraver. 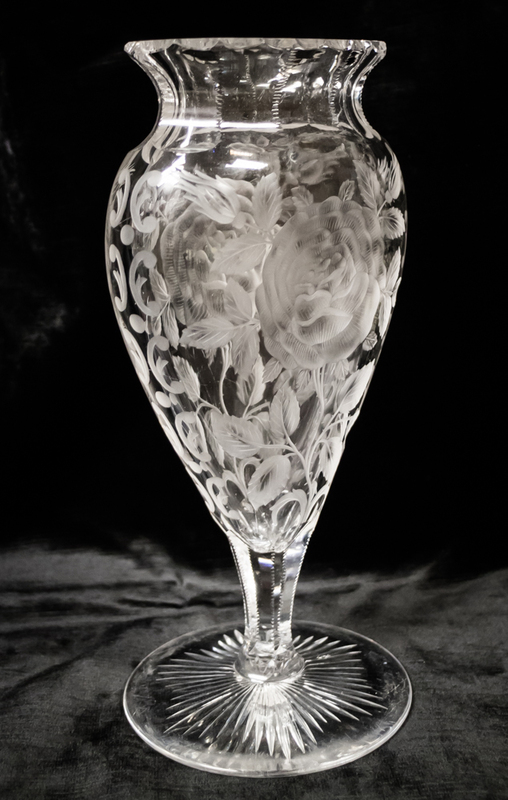 The sides of the vase are done in curling, frosted engraved figures. The vase is in excellent condition with just a tiny fleck to the rayed base. 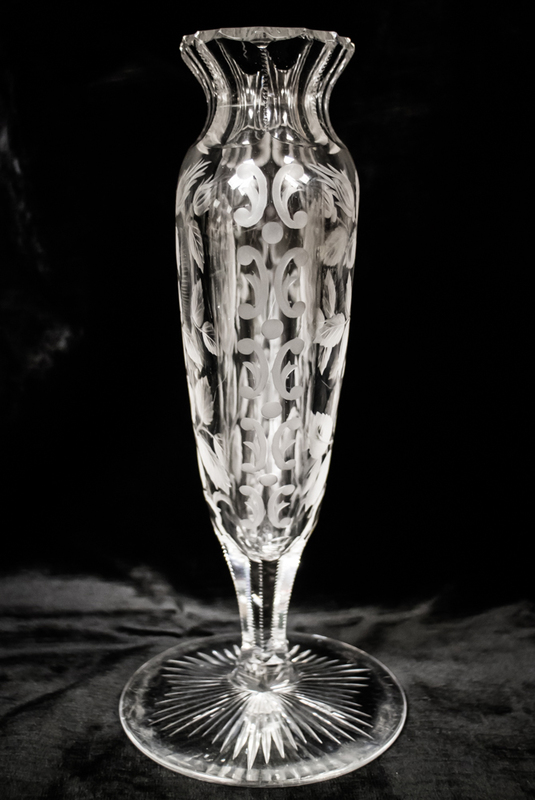 It measures 10″ high and 5″ wide.